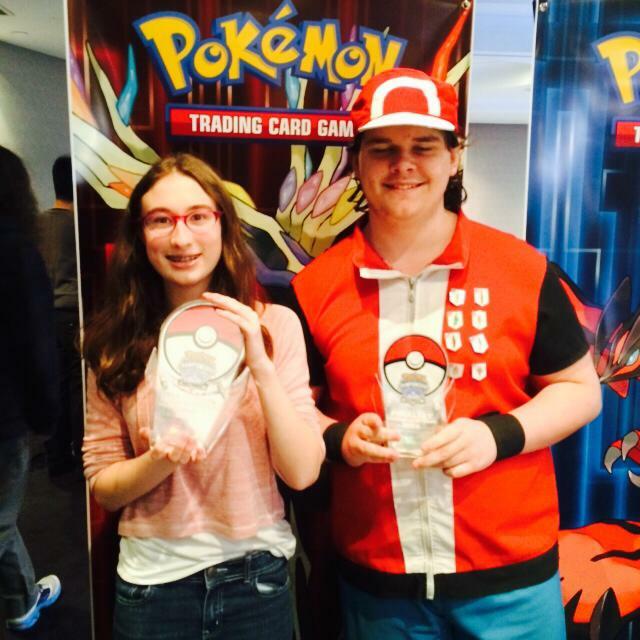 Bodhi: Hey guys Bodhi here, and I am here with 2014 Pokemon National Champion Jennifer Wilson, Congratulations on your win Jenn!! Bodhi: What was your record in Swiss and what decks did you come up against? 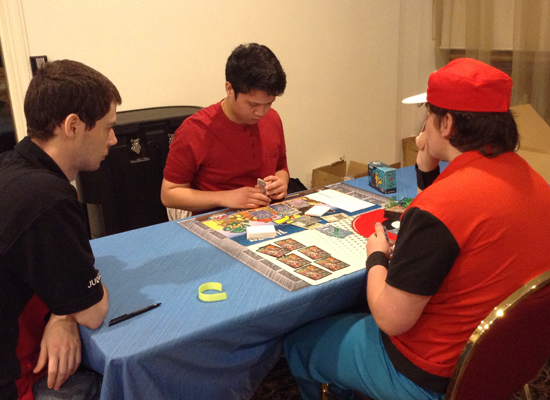 Jennifer: 5-0-3 was my record, In round 1 I played vs Blastoise, In round 2 Myles with Darkrai/Raichu/Yveltal, In round 3 I played James Goreing, the mirror match (He took a game against me by donking a Trubbish in the second game), round 4 Chris Kan playing Darkrai/Yveltal, Bodhi round 5 with Vir-Gen, Round 6 was Jordan Palmer with Darkrai/Yveltal/Raichu, Round 7 was Chris Matejic, Round 8 I played Paul and decided to ID. Bodhi: So you ended up 5-0-3 and going into top 8 what seed were you? Bodhi: You played against Naomi in top 8, what were those matches like? Jennifer: The first one was pretty close, the second wasn’t as close, Sorry Naomi, I managed to get quite an early prize lead, and I was in a position where I could sacrifice my Pokemon to set up KOs, like allowing Pokemon to be KO’d by Poison just so that I could put damage on her board. Bodhi: Alright, so who did you play in top 4, and how were those matches? Jennifer: I played against Michael. They were both really close. He had 1 or 2 prizes both games, definitely 1 in the second. Bodhi: Did you know that he didn’t run Lysandre? Jennifer: No I didn’t actually, I was quite worried about it, waiting for it where he would just need to Lysandre and win, so no I didn’t know that until you told me just now. 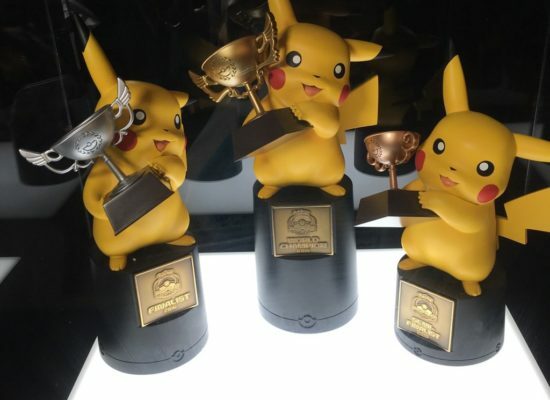 Jennifer: I was kinda worried going into top 2, Jordan is a good player and on top of that, he was playing Raichu and he’s the Yveltal killer. They were close games, going to 1 or 2 prizes each time again. In the second game he had 1 prize while I had 4, so that was quite worrying. I played a supporter or a Bike or something and I just needed a Dowsing for a Switch. I wouldn’t win, but it would stop me from losing. I just had to get Garbodor out of the active, it was asleep. The night before (or two nights before), Naomi and Jordan told me to put Switch in. I managed to get Dowsing Machine off the top and used it on the Switch in the discard so that really paid off. I switched for my Yveltal and KO’d something for 2 prizes. Next turn I couldn’t KO anything so I retreated to Darkrai because he poisoned me, I also N’d him to one and that was difficult to him because you know N, it’s pretty devastating when you can’t get the right cards. The next turn I Colress’d for quite a few and get a Lysandre. So I know next turn there’s an Yveltal on the bench I can KO with a Laser in my hand which is just what I needed. So I pass, the only thing is I don’t have a way to retreat Darkrai right now. So he draws a DCE and attacks Darkrai for 80. So I know if he gets another bench Pokemon next turn he wins. I pick up, it’s a Float Stone. So that was just just really lucky. I play Float Stone, Lysandre, attack and win. It was such an intense game you know. 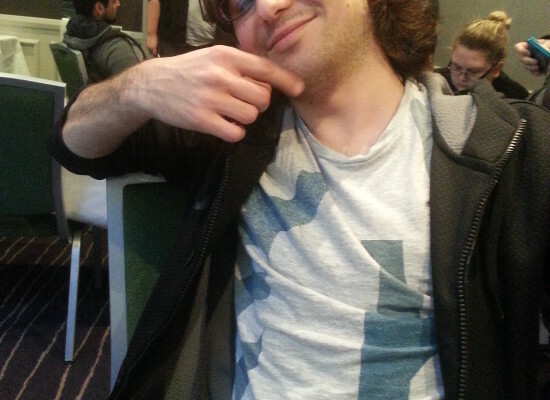 Bodhi: The top cut matches were all streamed, how was it being on Stream? Was that the first time you’d been on a proper stream like that? Bodhi: How many people do you think were watching? Jennifer: I heard like, 30? Bodhi: On the two streams that we had, we had about 111 altogether for the finals. About 90 for the finals. Bodhi: Now that we’ve been through your rounds, now I want to talk to you a little about your deck. First of all, when did you decide to lock in Yvetal/Garbodor? When did you know that was going to be the deck you play for Nationals? Jennifer: Well it’s pretty much the only deck I had experience with. I played straight Yveltal/Darkrai for Regionals and some Battle Roads, but I just really like Darkrai/Yveltal and I don’t have the cards for several other decks. 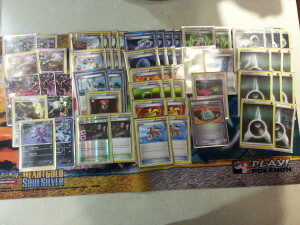 I have Darkrai and Garbodor and I’m comfortable with it and it’s a great deck. Bodhi: Okay so I want to go through your Pokemon line. So you decided on 1 Darkrai and I know Naomi who is sitting next to us who helped you, she is a fan of two Darkrai. Did you consider 2? Jennifer: No, I used to run two but I feel that there are better cards now. The second isn’t worth it, especially since it isn’t as helpful of an attacker as Yveltal, Yveltal is so strong. Obviously it’s good, it can KO Raichu and it can KO benched stuff which have 20 or 30 left. Maybe you missed a Muscle Band to KO a Bouffalant or Absol or something and they have that much left. You can finish up and take up to 4 prizes in a turn. As an attacker, he is just inferior as an attacker to some of the others. He’s also good for his retreating ability for when I don’t Garbodor. So I need him, he’s good, but I don’t feel it’s worth playing two. I feel one is sufficient. Bodhi: For your tech attackers you chose Bouffalant and Absol. So I imagine you’ve chosen Absol to take out Raichu mostly? Jennifer: Well I had Absol in there before Raichu as well. I took it out when I switched to straight Darkrai. I think it’s really nice, with a Muscle Band if your opponent has a full bench it does 140, so you can KO 170 HP things with a Laser so it’s nice for hitting that number and it’s only worth 1 prize. Bodhi: And how about Bouffalant? You decided to just run 1, but you have 4 DCE in here as well? Jennifer: Yveltal can use the DCE as well with Y-Cyclone and Evil Ball so it’s good for that and for Bouffalant. Bouffalant is good because it can hit 140 like Absol, but unlike Absol he doesn’t require your opponent to have a full bench. So even if your opponent only has a few benched you can still hit that 140 for only 1 prize. I like being able to force your opponent to take 7 prizes, like when your opponent has taken 5 prizes, then forcing them to KO an EX? I just really like that strategy, making it as hard as possible for them to win. 1-prize attackers like Absol and Bouff really help that, they can get KOs and when they get knocked out it’s only 1 prize, it’s a really good trade off. Bodhi: You only have 2 Muscle Band. What’s your reasoning for only 2 unlike the 3 which is more common. Jennifer: There’s just not that much space. I prefer 3 Float Stone. 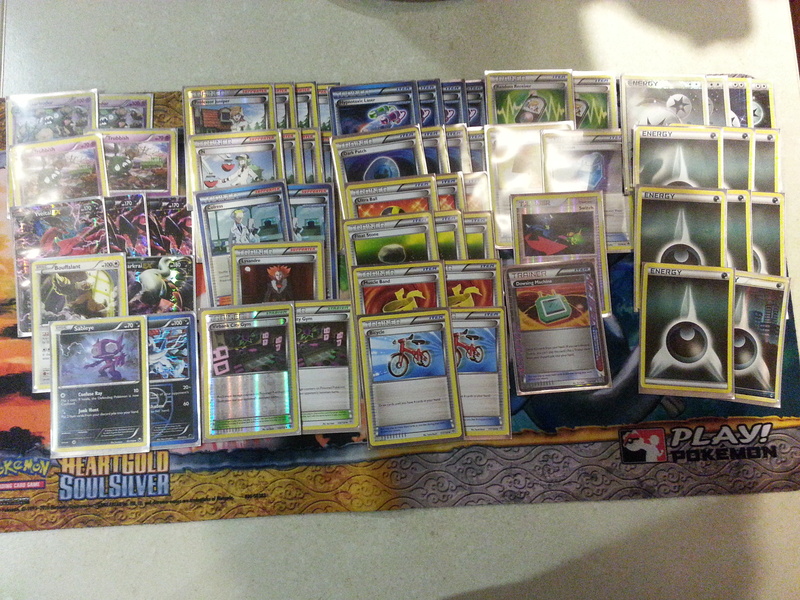 I just think it’s really good with Garbodor, especially with Lysandre. Just being able to retreat your things against other Darkrai variants, they don’t have that option, they have to discard their energy to retreat. It’s really nice having that option. Originally I had 4, but I took 1 out for a Switch and I think that was a very good decision. Jennifer: Yeah I really like Y-Cyclone. Muscle Band is good, but if you’re using Y-Cyclone it hits for 90 which is enough to 2 hit KO the 180 and 170 EXs and preserve your energy. It’s really great with Max Potion if you’re just moving energy off and then playing it. Bodhi: Max Potion is the next card I wanted to talk about. Your 4 one-of trainers of choice were Dowsing Machine, Switch which we’ve discussed a little bit, Professor’s Letter and Max Potion. The others are quite standard but I wanted to talk to you about Max Potion. 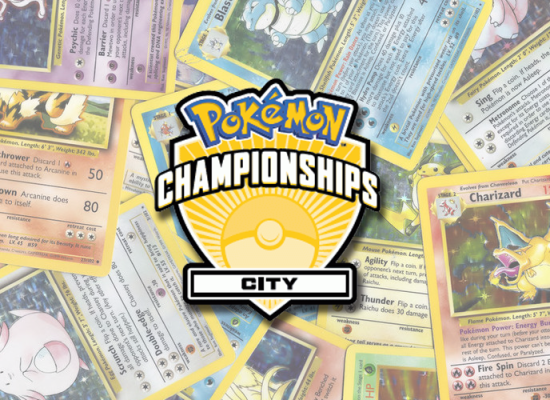 How helpful was it during your Swiss rounds, your top cut rounds and in general how was the card for you. Jennifer: I love Max Potion. It’s been quite helpful against Darkrai Variants. If something has 30 from KO on the Bench, Darkrai can KO with the 30 (Night Spear) so it’s nice to be able to get rid of all that damage and deny your opponent those two prizes and quite often you can get back that energy with Dark Patch. Bodhi: Did you have your Worlds Invite before Nationals? Bodhi: Assuming you had made top 16 and not gone on to become our National Champion, would you have gone to Worlds without the paid invite? Bodhi: But now that you are our National Champion you’ll certainly be representing us? Bodhi: Do you have a favourite moment from your games today? Jennifer: Dude, in one of my games, I Juniper’d 4 Dark Energy on my first turn. After I had done that I was like ‘I am going to Dark Patch so much this game’. I Junk Hunt’d twice for Dark Patches. Bodhi: I do have 1 more question, if you could pick one card from your 60 today and yesterday, what would be your most valuable card? The one that you feel did the most to help you towards your win. Jennifer: There are so many. There several that stand out. Switch, Sableye. Sableye with a Muscle Band actually KO’d two things. A Pikachu that was Poisoned and a Druddigon that was poisoned. Bodhi: That was another question. Why no Druddigon? Jennifer: I really wanted to use it but. I just didn’t have space. I strongly considered, but there wasn’t anything I wanted to take out. I did manage to beat two Blastoise without it. Bodhi: Well that’s it Jen, thank you very much for the interview and we at Ace Trainer wish you the best possible luck at Worlds. Jordan Palmer liked this on Facebook. Aloísio Estrella Yang liked this on Facebook. Tahya Tivahn Pendergast liked this on Facebook. Amy Wilson liked this on Facebook. Adam Harmsworth liked this on Facebook. Michael Zirnsak liked this on Facebook.